This item was discontinued on 3rd January, 2019. 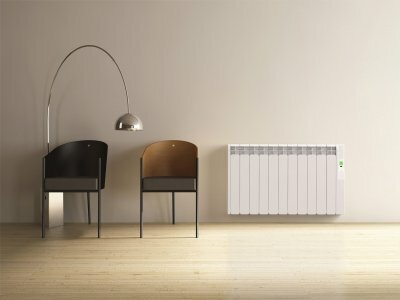 Rointe offers the opportunity to enjoy the most complete and modern radiator with a compact finish, a modern appearance and patented Fuzzy Logic Energy Control technology, which provides up to 62% savings in power consumption compared with other technologies, ideal for installation in any environment, domestic or public. 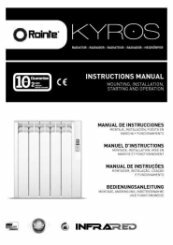 All Kyros electric radiators use the patented, exclusive electrical technology, Fuzzy Logic. 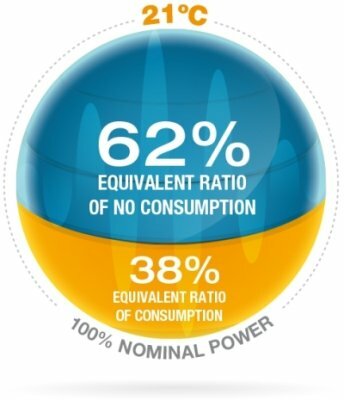 This ensures they produce heat efficiently, guaranteeing you to save money on those electric bills. Unlike traditional radiators, the heat is circulated around the room at an even temperature from floor to ceiling, keeping your toes and feet warm in the winter! 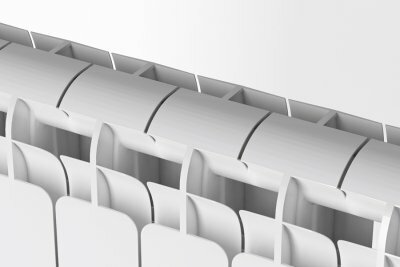 Our electric radiators look fantastic in all environments with their elegant and slim line design, coupled with a non-fading pure white finish. 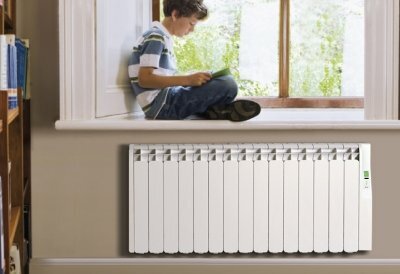 All radiators are easy to install with a single room installation needing only a 13 amp socket. Easy to install, heated the room excellently and looks fantastic with cool contemporary looks. excellent products and service. Even phoned when i double ordered to make sure I hadn't accidently ordered twice which I had. Product came promptly and was well packed. Thank you very much for the great review of our customer service, we appreciate the fantastic feedback. As always great products, fast delivery and very good customer service. Thanks! Thank you for your wonderful review of our service, it is very much appreciated. Good heater,easy to install and use. not the cheapest but better than night storage. First class service,helpful friendly staff with delivery next day. Would highly recommend. Thank you for your fantastic review and recommendation, we appreciate your comments greatly. 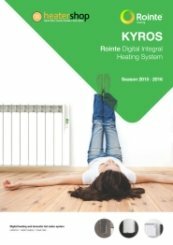 Thank you for your great review of the super efficient Rointe Kyros electric radiators. I'm very pleased that you were eligible for the FREE Rointe Kyros ACMI120 remote - simple and easy to use for complete control. Thank you very much for your great feedback, we very much look forward to speaking with you again soon. The heaters have been installed and I am happy with the heat output. I am rather disappointed by the setting of the time clock. It is so cumbersome that I am I having the leave them on 24 hours! Can you provide me with some very easy set by set instructions to set up the timer? Absolutely. If you call our office on 01473 276686 our technicians will be more than happy to run this through with you. Haven't had the opportunity to use it fully yet as it only arrived the day before my holiday. Not at all happy with the courier who decided not to deliver on the specified day and failed to advise me. We can only apologise for the couriers and assure you that this is not a common problem and they are usually very efficient. Great looking and extremely responsive when hanging setting to increase /decrease temperature. As responsive as gas. Responsive service. Excellent website to navigate through and find/order what you need. Timely delivery within date /time specified. Thank you very much for your great comments regarding our website. We put a lot of time and effort in making it user friendly to help our customers find exactly what they are looking for with ease. 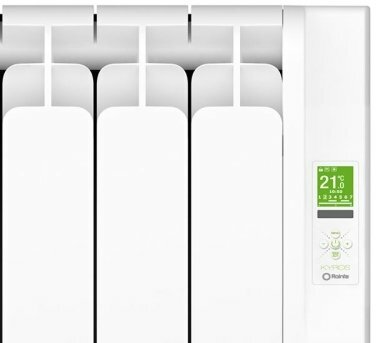 Bought several of the Rointe 4 yrs ago for hall and living room, so pleased with efficiency that have ordered more to replace old radiators in bedrooms. Pleasant assistance, dealth with quickly. That's really great, thank you for your feedback. If you need any further assistance, please do not hesitate to contact us on 01473 276686. Thank you for taking the time to review us as excellent. like for like replacement, last one leaked oil. very easy to install. Great price and prompt delivery. Thanks for your positive review, I'm glad your faulty unit was replaced effectively. Thank you for your lovely comments. We are really pleased that you are happy with both our service and your new radiator. Thank you for you comments, they are very much appreciated. Please let us know if we can help at any time in the future. We really appreciate great feedback, for both our service and for our products. 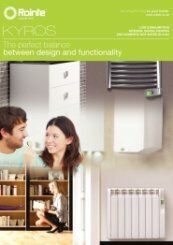 The Rointe Kyros series is a particularly good radiator series and we are glad that you think so too. Thank you very much for reviewing us as excellent and your positive comments. Thank you for your great comments, we appreciate it very much. You are very welcome. Thank you for reviewing us as excellent. 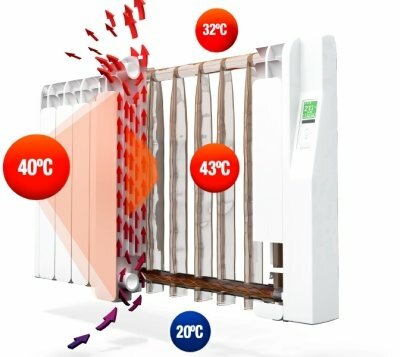 Fantastic heat from a low costing heater. An absolute must if you done have mains gas!! Really easy to order from, and fast email response. Delivery was prompt too! Thank you very much for taking the time to review us, it is very much appreciated - especially with comments as fantastic as yours. Thank you very much for your fantastic review and for your future recommendations- it really is very much appreciated. Great radiators, bit expensive, but you get what you pay for. Good service, came when they said it would. 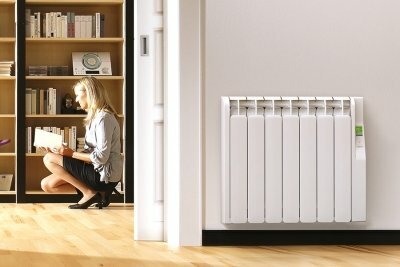 The Rointe Kyros really is a fantastic electric radiator. I have used Heatershop before and was very pleased. This time the rads i wanted were not in stock as they are slowly being replaced. Within minutes of placing my order i received a phone call informing me of this and offering me an alternative solution which was more than acceptable. Would definitely recommend Heatershop! Thank you very much for your excellent review and for the future recommendations.